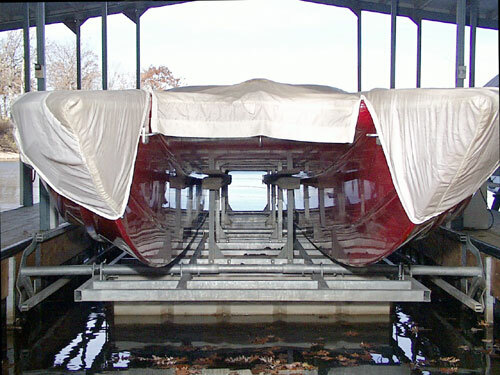 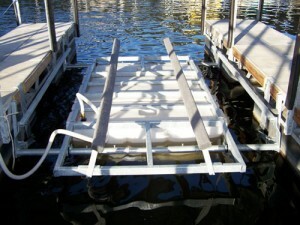 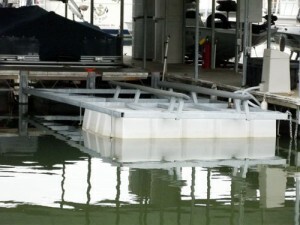 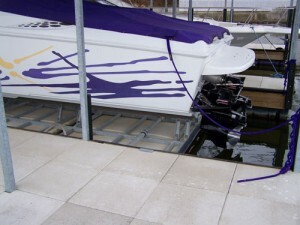 Boat Lifts | CUSTOM INTERIORS & CANVAS, INC. 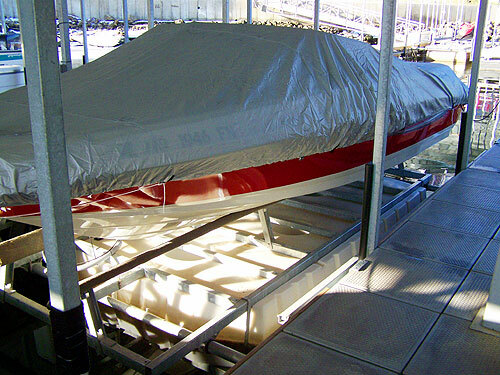 Custom Interiors & Canvas, Inc. is well aware that boats, boat docks, and water conditions have changed a lot during the last thirty years. Our first-hand knowledge and experience with these changes has helped us evaluate and identify the most dependable, yet affordable boat lifts capable of serving our customers’ needs. 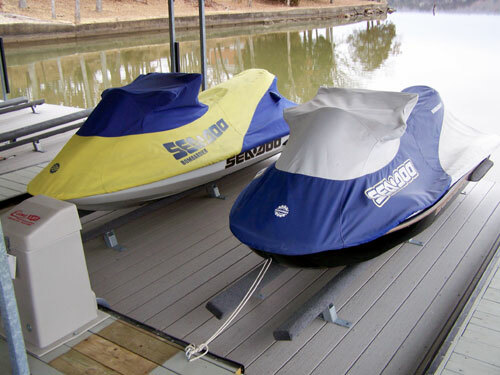 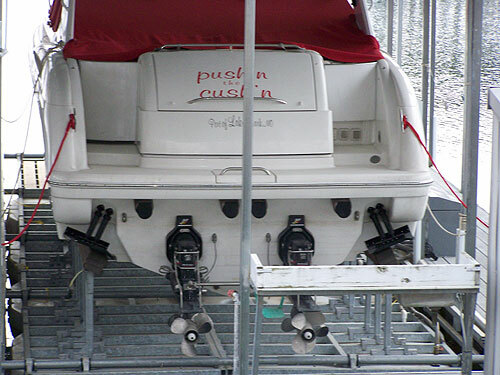 For that reason, we are proud distributors of Econo Lift boat hoists. 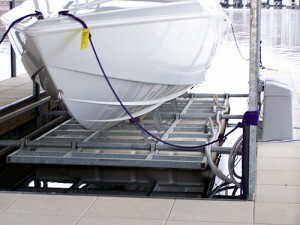 Every component of the lifts we sell, service and install are manufactured in the USA. 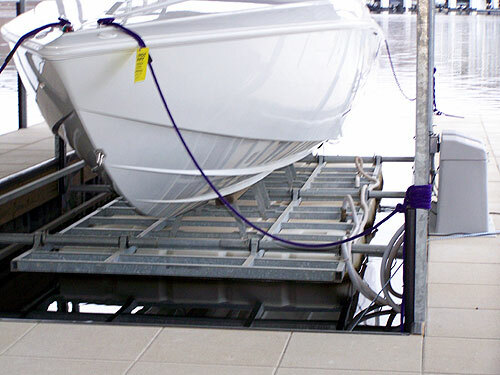 Available in different sizes & load capacities, our lifts feature tough polyethylene tanks and hot dip galvanized metal parts making them the most durable and dependable lifts available today. Specifically designed for our boat lifts, the polyethylene tanks feature a lifetime warranty, All galvanized metal parts are warrantied for 5 years. 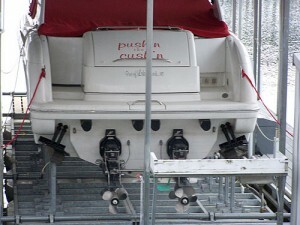 From PWC’s to Cruisers, our lifts can keep it up for you! Sizes are available to fit in slips that are 8′ – 18 wide and lift boats up to 4,500 lbs, 6,500 lbs, 10,000 lbs, 14,000 lbs, and 20,000 lbs.